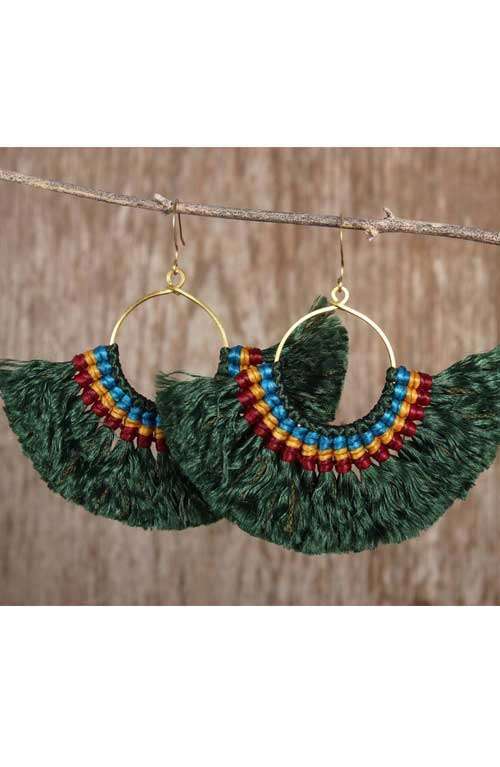 A bohemian pair of hoop tassel earrings handmade with love in Northern Thailand. These adorable pair of gypsy tassel earrings are handmade with love in Northern Thailand. 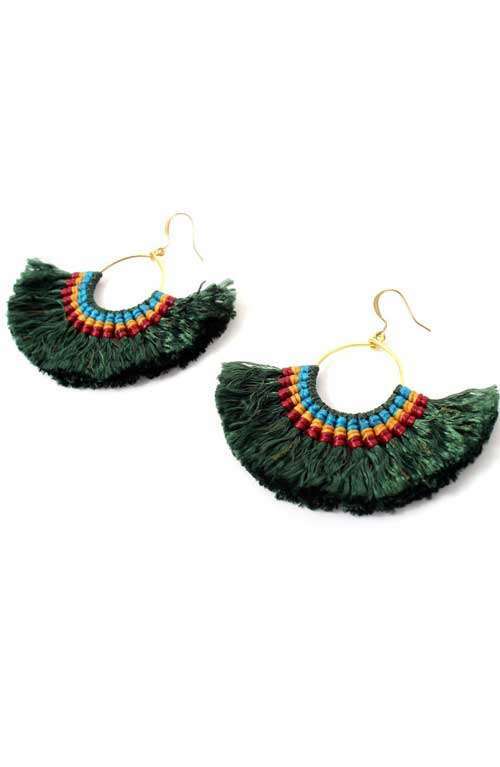 The boho earrings are made with waxed string and forrest green tassel. 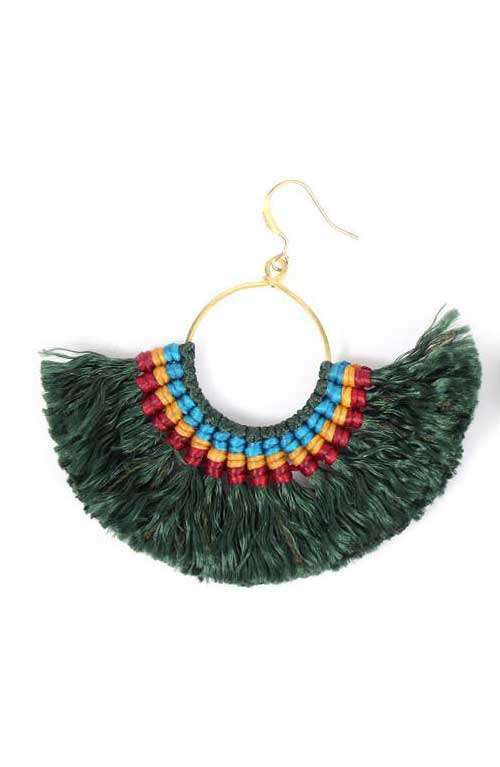 These chic earrings are sure to liven up any outfit to give you that original boho look.